Every year, we try new grills and discontinue other brands where the marketing wasn't equal to the performance. We demo grills on weekends throughout the Spring and Summer to better understand the best brands and features. This year is no exception as there are many new grills for you to consider in 2019. 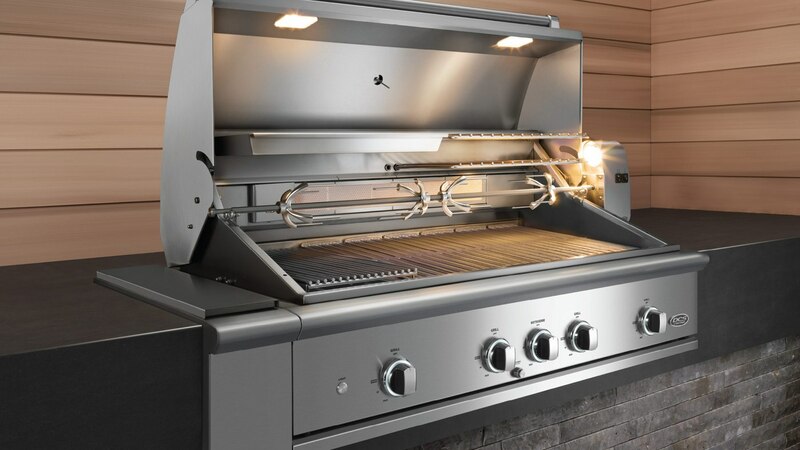 In this article, you will learn about the best grills for 2019 as well as the best features for your particular cooking style whether you like to use pellet, charcoal, gas or hybrid grills. There will be plenty of pictures and videos, so you have a good idea of which grill to consider this Spring, Summer, and Fall. Grills are simple when you think about it. It's fire, stainless steel, and other elements. However, there is a big difference in performance between many brands and especially technologies. Pellet, charcoal, gas, and hybrid grills are all very different in terms of speed, texture, and flavor. You should almost ask for a demo with your favorite food before you buy a grill. We have demos on the weekends or through our appointment scheduler at your convenience throughout the week. 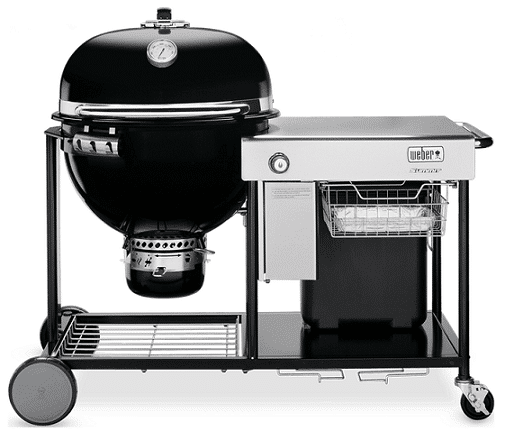 You can also try out BBQ Grill Configurator. Just check off your desired features and the configurator will suggest a few grills to consider. In 2019, you will see more grills in each store, yet from familiar brands. DCS has their new 9 series grill with a charcoal infuser tray. 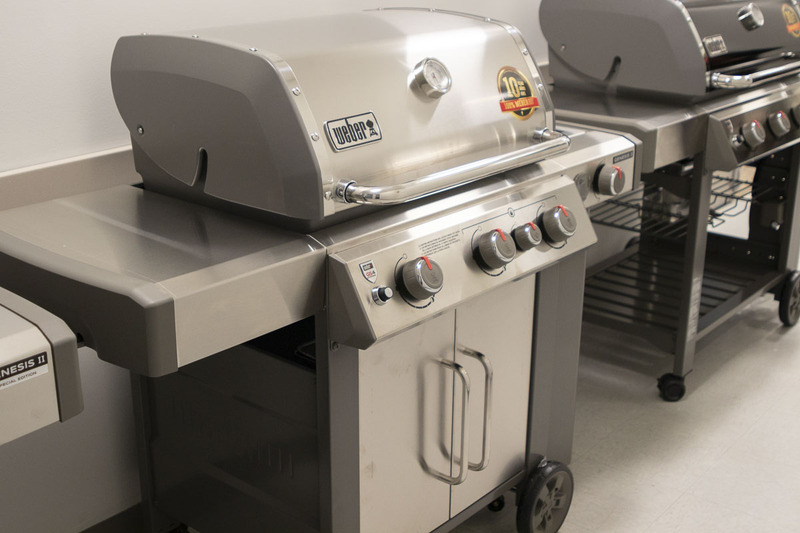 If you love to grill, check out the new Kalamazoo Gaucho All Charcoal grill. Weber has changed their most popular Genesis grills again. Last year, they changed all the components of their Genesis grills plus their less expensive Spirit line. This year is a model change. 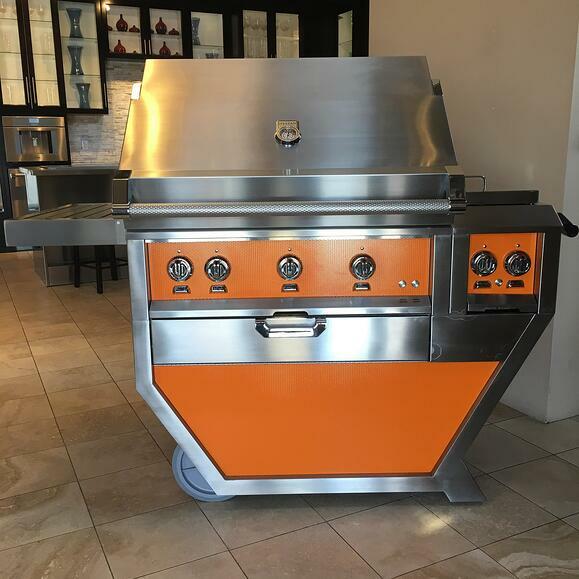 If you love to grill, check out the Kalamazoo Gaucho All Charcoal grill in our Framingham showroom. 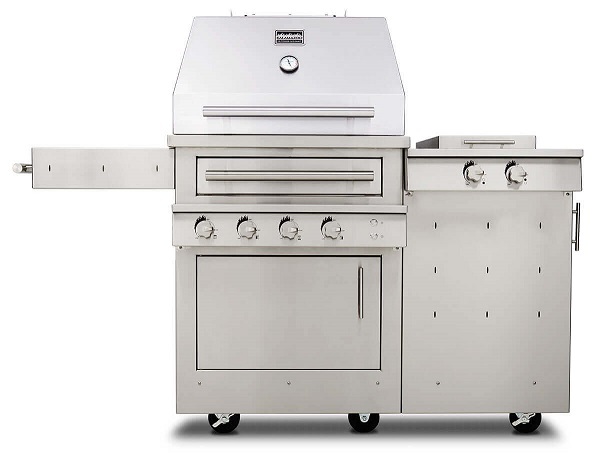 We deliver and assemble all BBQ grills over $499 for free. The following are nine of the best BBQ grills to consider in 2019. We'll cover pellet, charcoal, gas, and hybrid grills along with the benefits of each type. Traeger is more of a smoker. It's great for anyone who wants to lock in flavor to their favorite dishes or slow cook. You can set the temperature precisely and infuse it with a smokey flavor from the wood pellets like Mesquite, Pecan, Applewood, and a ton of different other flavors. For Bostonians, Traeger can be placed on balconies or rooftops because it’s electric. Traeger is designed to cook like a convection oven. It cannot reach the higher temperatures like a gas grill with 500 degrees being the max. If you like seared or charred meats or like your burger cooked quickly, Traeger is not for you. However, their low and slow method can effectively cook almost every food without flare-ups. Also, look at their app-driven Wi-Fi enabled Timberline grill at $1,999. Set it and walk away. It’s also more heavily insulated, so it retains temperature better. I used to cook on the Weber Charcoal Smokey Joe. Other than it was slow and small, the food was incredibly flavorful. The Summit Charcoal is a larger charcoal grill with the added speed of an LP tank. The downside to a charcoal grill is obviously filling the grill with charcoal and removing the ash along with a longer wait for your food. However, charcoal adds texture and flavor while gas grills cannot. With the Weber Summit Charcoal grill, you also add the speed of a liquid propane start. 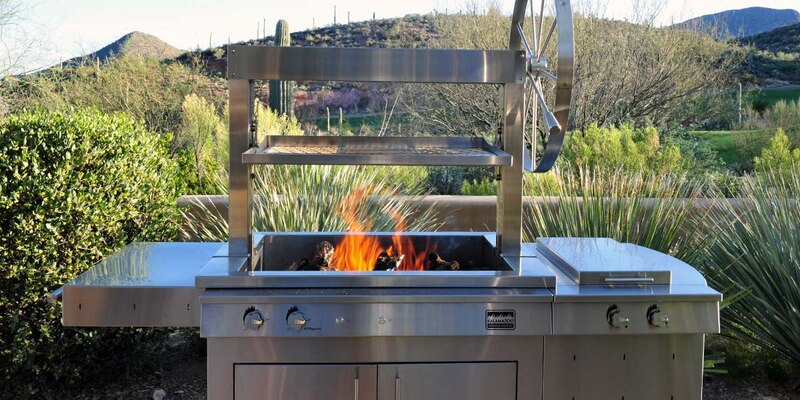 The Summit has all the features of a professional grill with a total of 60,000 BTU, a sear station, and smoker box for far less than a professional Lynx, Hestan, DCS or Kalamazoo grill. The price and features are very good especially with its Sear Station, smoker basket, and side burners at less than half the price. A pro grill will have hotter individual burners. The average output on a pro grill burner is 23-29,000 BTU per burner. 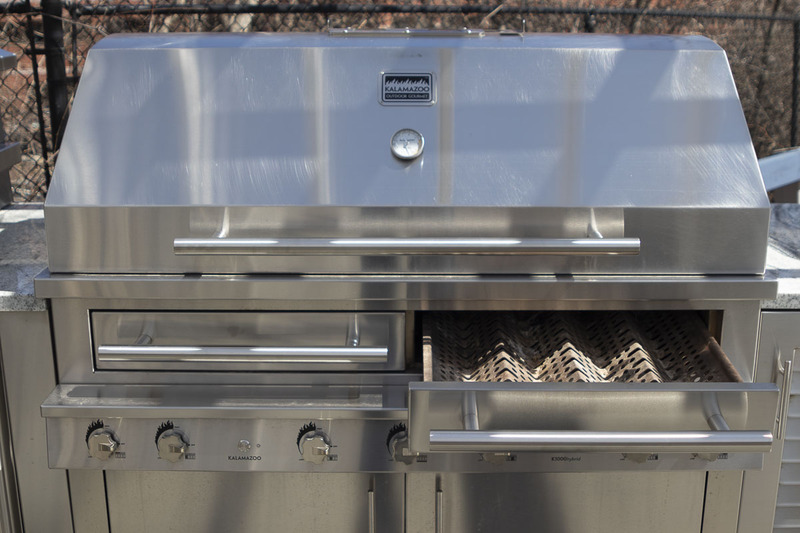 The Summit uses more 10,000 BTU burners, so a pro grill will still have a better sear and char as well as cook faster. However, it will cost more. 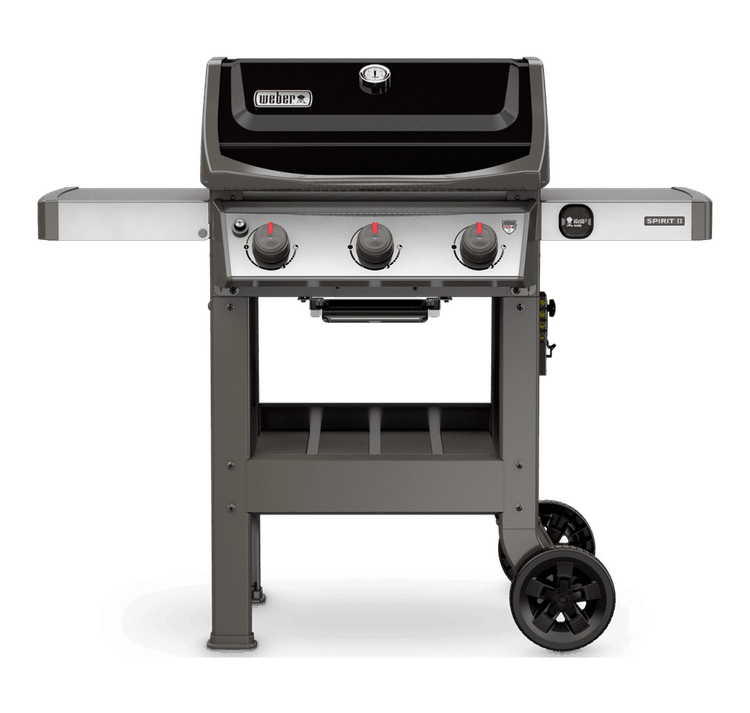 Weber completely redesigned their most popular grill last year dubbed "the GS4" with a new first-strike ignition, Flavorizer burners for consistency, and a grease management system. 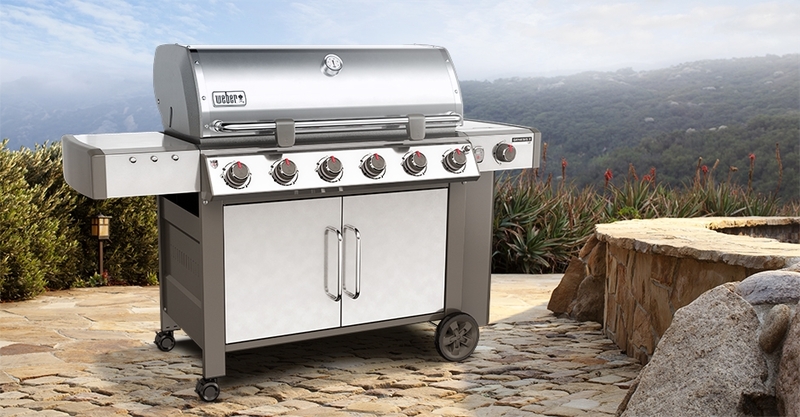 This year, Weber relaunched the Genesis as a 3 and 4 burner grill exclusively. They also dropped last years LX line. It is now just Genesis II. Of all the grills sold by us in the last 5 years, and there have been many, Weber is by far the most reliable and consistent in terms of cooking. 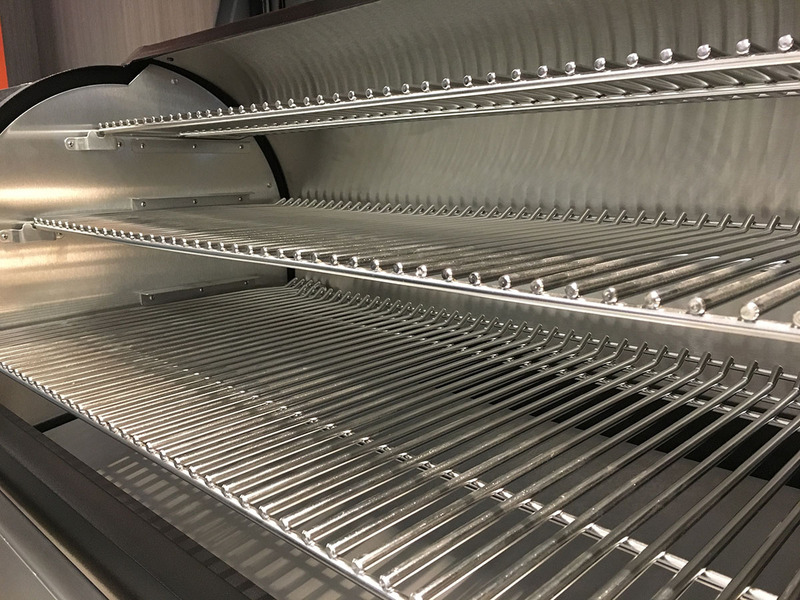 The differences between the Genesis II are the side burners, stainless steel grates, and flavorizer bars as well as a finished bottom cabinet. 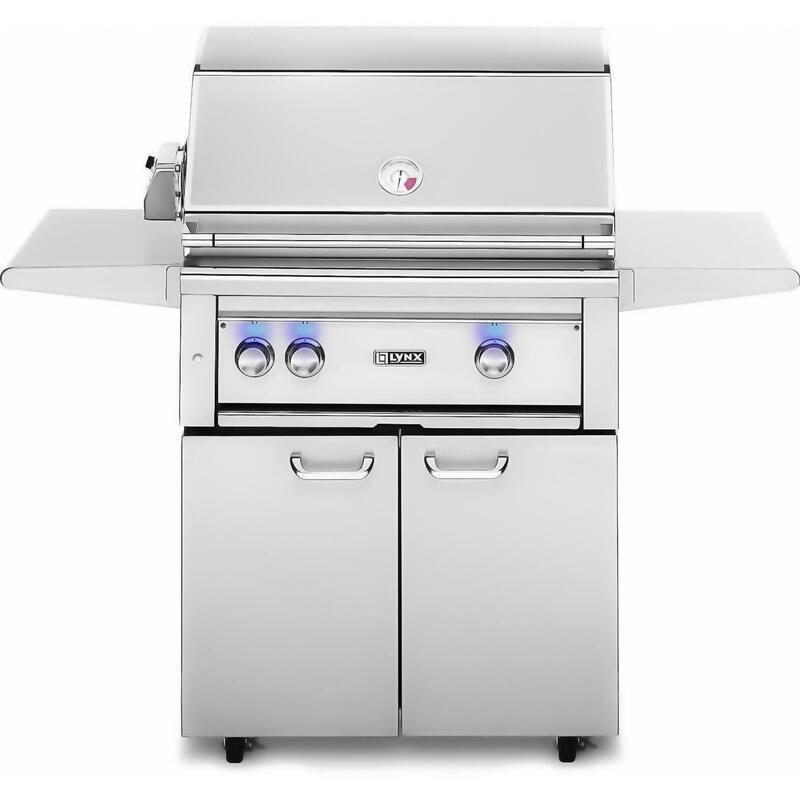 Honorable Mention to their less expensive Spirit II grills, which have similar features of the Genesis for a less expensive price of $399-499 in a smaller 2 burner grill. Lynx started the whole professional grill segment. Lynx is known for their powerful trident-shaped burners. Their sear element is variable from 300-1000 degrees, so you can easily sear more delicate items like fruits and veggies as well as meats. Lynx All Sear Grill: Some people love this grill, but it is not for everyone. An all sear grill is comprised of all infrared burners instead of regular gas. 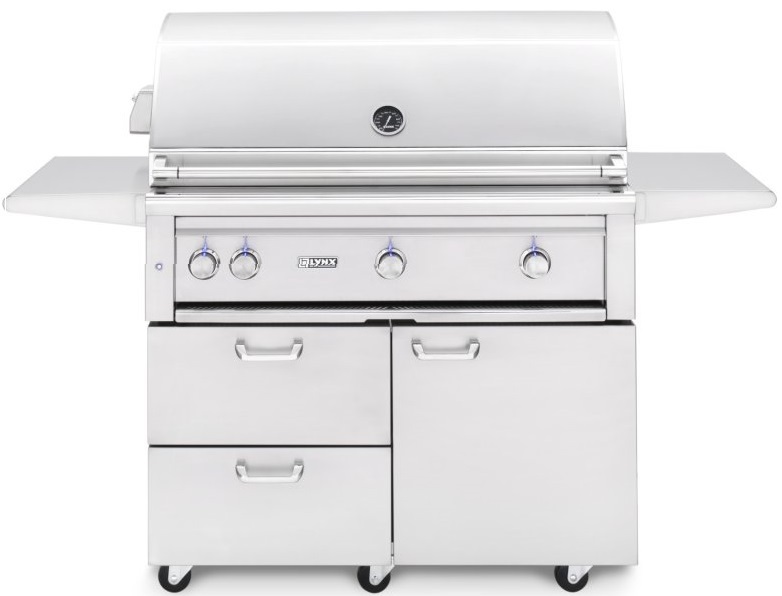 Lynx’s regular gas grills will have one infrared burner for searing. We have written posts comparing the two. Briefly, infrared is a more intense, direct heat whereas the regular gas burner diffuses the heat. You will be able to cook faster on an infrared, but you can burn your food more easily. You can set up an appointment with our chef if you want to see both in action. 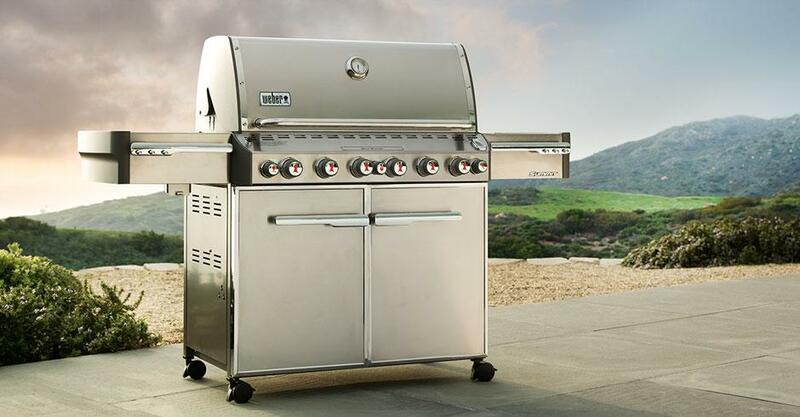 Their Evolution built-in grill series gives you the ability to grill and cook at high temperatures. 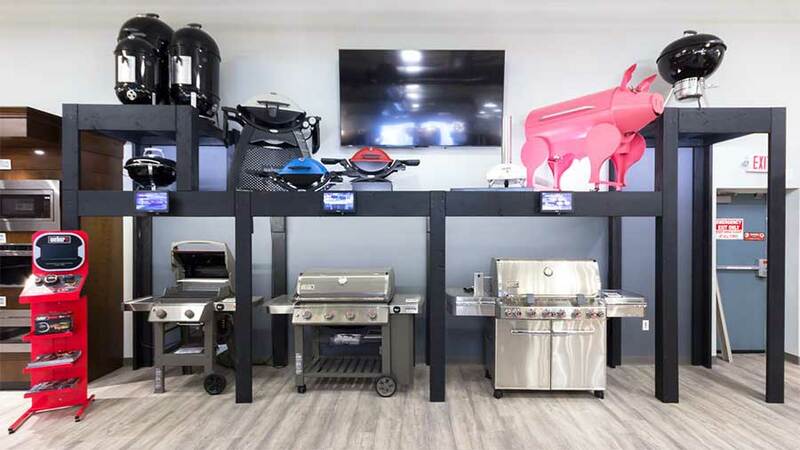 You can cook a wide variety of meals using multiple cooking zones, infrared burners, a rotisserie, and smoker trays to lock in flavor, roast, and sear like a pro. 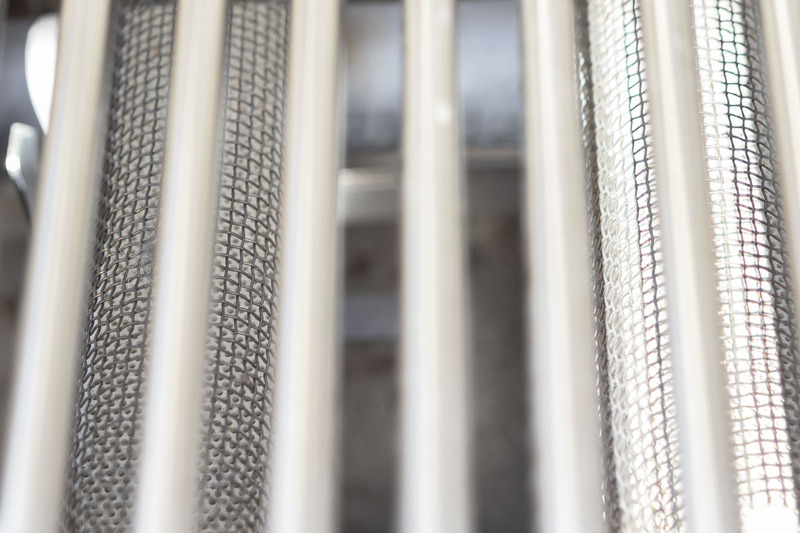 DCS has the ceramic rods throughout the grill for better heat distribution, searing, as well as fewer flare-ups. The Heritage is a less expensive and less powerful version. The Series 9 is new in 2019. It was actually debuted in 2018, but wasn't shipped until the end of the season. It has all the best features of a professional grill with a 50-pound rotisserie and the 18,000 BTU infrared burner on the top back. The smoker basket is a unique feature. It is incorporated over the burners to infuse the grill with smokey flavor. It is not as effective as the hybrid drawers of the Kalamazoo (down below), but it is a fraction of the price. 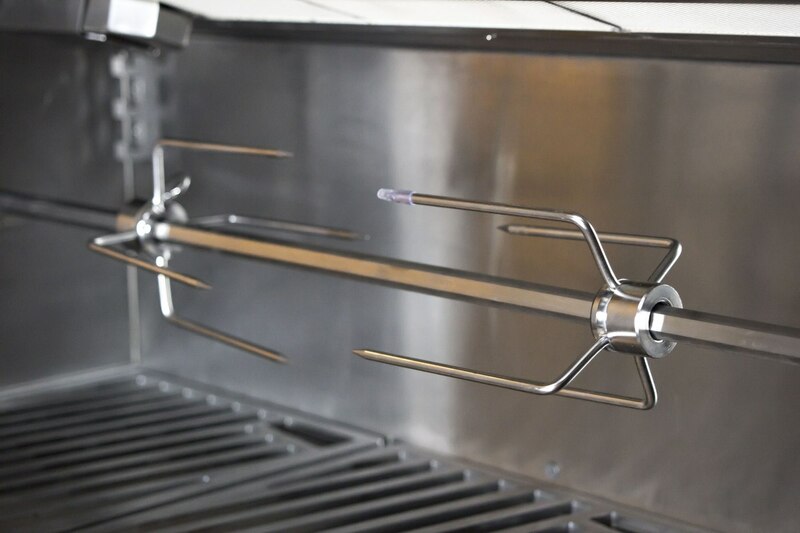 The giant commercial supplier, Meyer, is behind the Hestan grill. It already is the best-looking grill available in 12 designer finishes. Hestan boasts a BTU output of 25,000 BTU per burner, plus 25,000 just for searing, so it's very powerful. It has the rotisserie system holding 50 pounds of meat with a variable infrared burner of 12-18,000 BTU. You can evenly cook the meat on your rotisserie or on the top shelf, which can cook quickly as well for a good secondary quick sear burner. The hood will stop wherever you want, so you can open it slightly to cool down your grill. 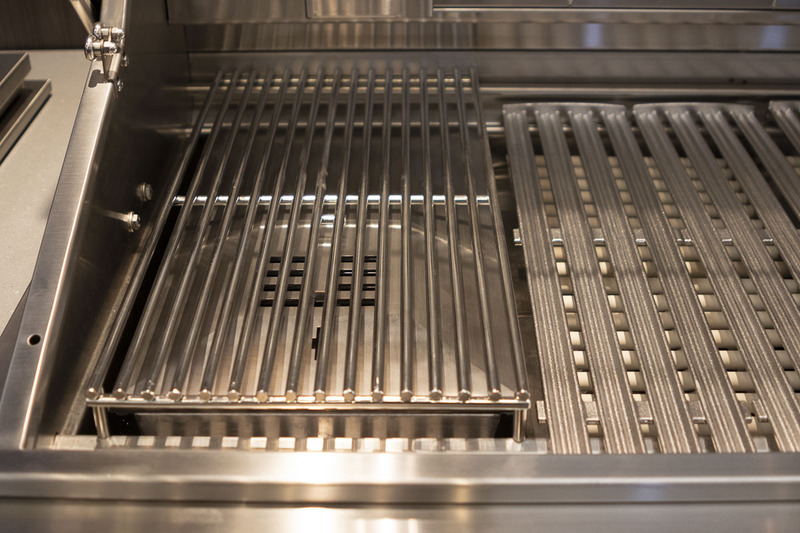 Hestan has thicker diamond cut grates. They retain heat better, so you can effectively sear on every inch of their grills. The Aspire is similar to Hestan’s regular line, but with less power per burner and not as powerful infrared burners. Every manufacturer and retail store will concede Kalamazoo is the best grill. Kalamazoo is a made to order grill. 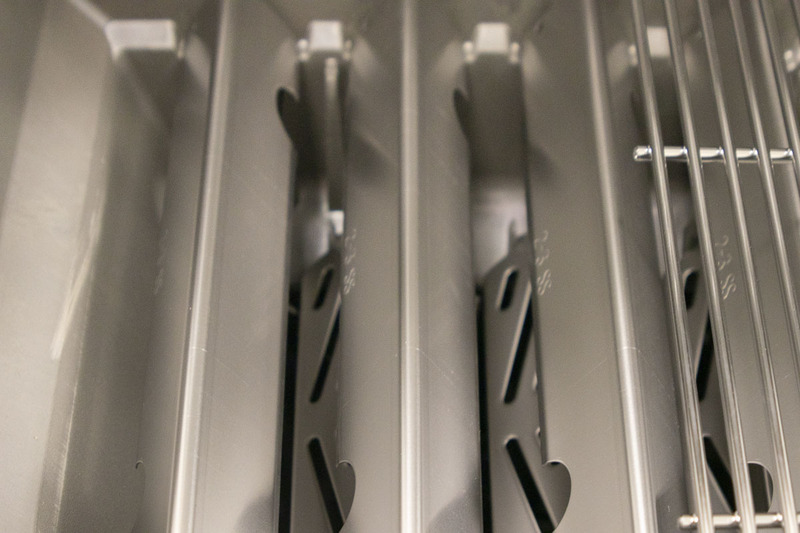 The grill is deeper than any other on the market, providing a natural convection system for more evenly cooked food. The other main difference is the hybrid drawer, so you can use charcoal and/or wood along with the speed of gas. Kalamazoo is the only grill with the speed of professional gas, and the flavor and texture of charcoal and wood. If you really love to grill, this is the best on the market. You can even customize the grates based on the food you're grilling. It is also available in marine-grade steel. If you live by the ocean, this is the only grill designed to withstand the elements. The only issue with this grill is the premium price starting at roughly $14,000, and you have to wait 4-8 weeks. 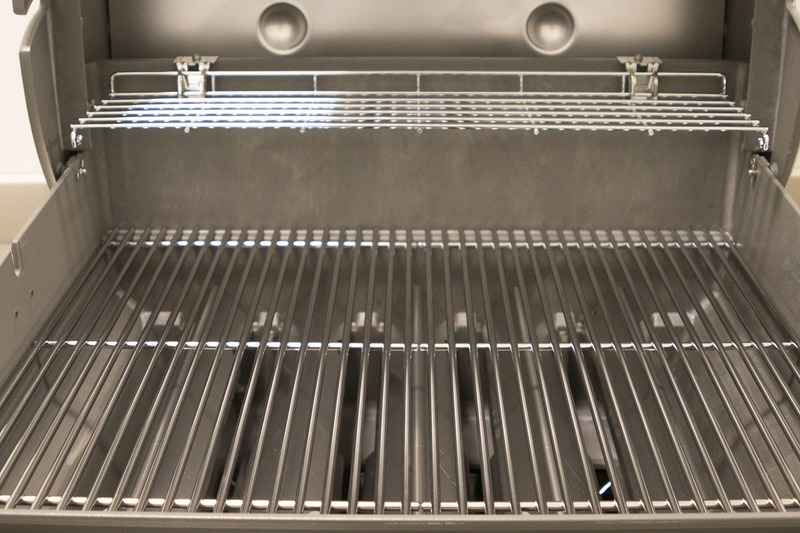 Unlike regular appliances, grills are pretty reliable as long as you kept your cover on and cleaned it before winter. The only potential issue is water. If water is inside your grill over the winter it will freeze and ruin your elements. As I said, you'll read a lot about great grills. They are comprised of similar materials with almost strikingly similar BTU outputs. The chart below does not include wood pellet or charcoal grills (Traeger and the Weber Summit Charcoal grills). Here are a few tips on how to pick the right grill for you. The first question is, how would you like to cook? Pellet grills give you flavor from indirect convection heat without flare-ups. You can also customize the taste with different types of flavored pellets. They cannot reach the heat of gas, so you are not really barbecuing in the traditional sense. Charcoal will allow flavor and texture but again is not as fast as gas (unless you consider Weber or Kalamazoo as hybrids of gas and charcoal). Gas is faster and can heat to 900 degrees for a better sear with different options for the rotisserie and smoker boxes. However, it does not have the flavor of charcoal and pellet grills (the DCS Series 9 may be a good option). The best is Kalamazoo, but this is a $13,000 grill to start. Then again, you can do anything on this grill. Its deeper and well designed with the ability to add charcoal and wood. It’s the best for texture, flavor, and speed. Hestan has the solid, diamond cut grates so it retains heat and sears well. The rotisserie and 18,000 BTU infrared burner would be amongst the best. Without question, look at this unit in a custom color. DCS is a proven name for luxury grills. The ceramic tubes inside the grill are a particularly good design adding heat and eliminating flare-ups. Lynx has proven to be a solid grill with the best sear capability. If you like a quick sear or maybe searing at a lower temperature with veggies and fruit, then Lynx is a good choice. Weber has a few good grills. 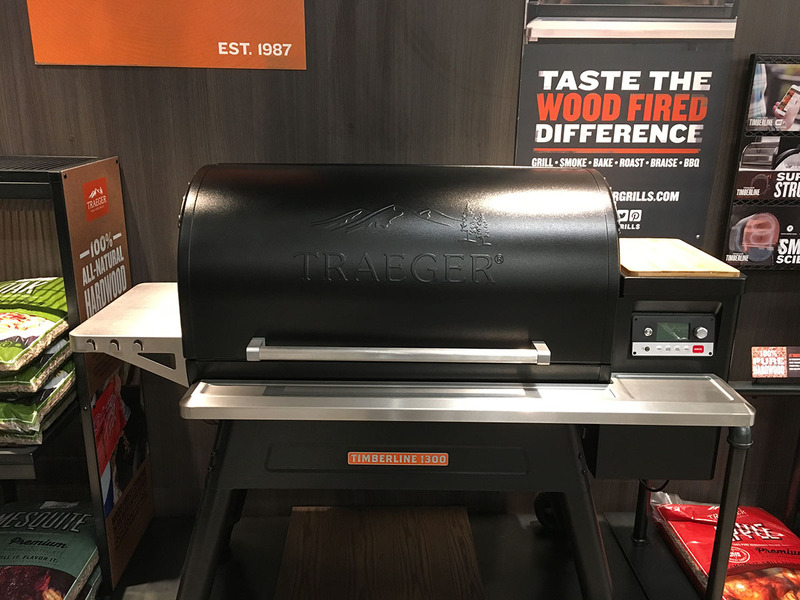 The Summit has many of the premium features of the better grills like a smoker, rotisserie, and sear for half the price. Look at the Weber Genesis for a solid, more affordable luxury grill. Their new features like evenness of cooking, grease management, and first strike ignition are reason enough to consider Weber's grill series. Once again, ask for a demo with one of our chefs, especially if you considering buying a new brand or fuel type. 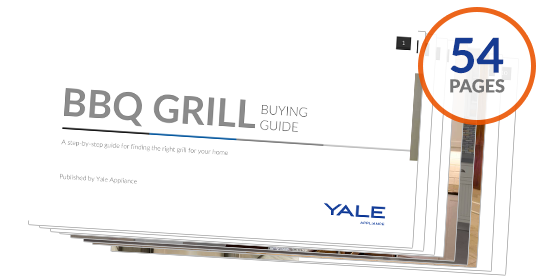 Get the Yale BBQ Grill Buying Guide with features, specs, and tips to all the brands. Over 510,000 people have already found answers in a Yale Guide. What's the difference between Weber Spirit, Genesis II, Genesis II LX, and Summit Series?